Two different shows featuring the same genre of music on Mother’s Day, 14 May, is causing some level of confusion among patrons. The promoter who produced the show in 2016 says this is a result of someone who was associated with the 2016 show is having his own show in 2017. Nicholas Mitchell, one of the investors behind “Masters of Calypso”, said that in 2016 the show was held for the first time at the Spice Basket in Beaulieu, but after reviewing the entire outcome, it was decided to move it to the Trade Centre, Morne Rouge. “Someone we had a contract with us to do stage management and book artistes has gone ahead and organised his own show scheduled to take place at the Spice Basket, also on Mother’s Day, featuring the same genre of music. Now because we held our show at the Spice Basket, some people are thinking that the show scheduled for that venue is the “Masters of Calypso”, but we want them to know that the “Masters of Calypso” show will be at the Trade Centre,” Mitchell said at a news conference held at the Trade Centre on Wednesday. 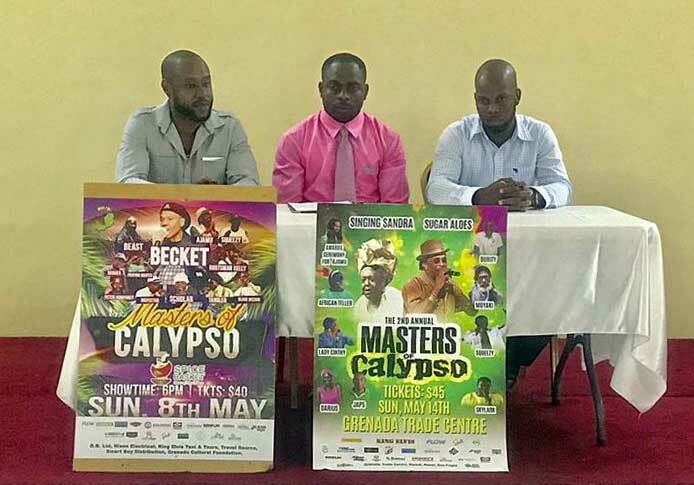 Stopping short of describing the show as misleading the public, Nicholas said that 2017 is the 2nd year of “Masters of Calypso” despite the promoter of Spice Basket show claiming that it’s the 2nd year of their show. “We are into our 2nd year, we have our posters to show to everyone our 1st show was on 8 May 2016, and our 2nd show will be at the Trade Centre on 14 May 2017. That show at Spice Basket is in its 1st year, but its posters are saying 2nd annual,” he pointed out. Mitchell said that his “Masters of Calypso” show will feature 2 acts out of Trinidad & Tobago and more than 6 acts from Grenada. Some of these are top local calypsonians from the 80s and early 90s with classic songs and well-remembered performances. They include Squeezy, Darius, Lady Cinty — Grenada’s first female calypso monarch, Moyaki, African Teller, Japs and others. The regional acts will be Singing Sandra and Sugar Aloes. “This show will not be Dimanche Gras. We are not having a competition, we will be participating in a show. We will be entertaining the people, we will give them a good time,” said calypsonian Squeezy who had joined the promoters in the news conference. 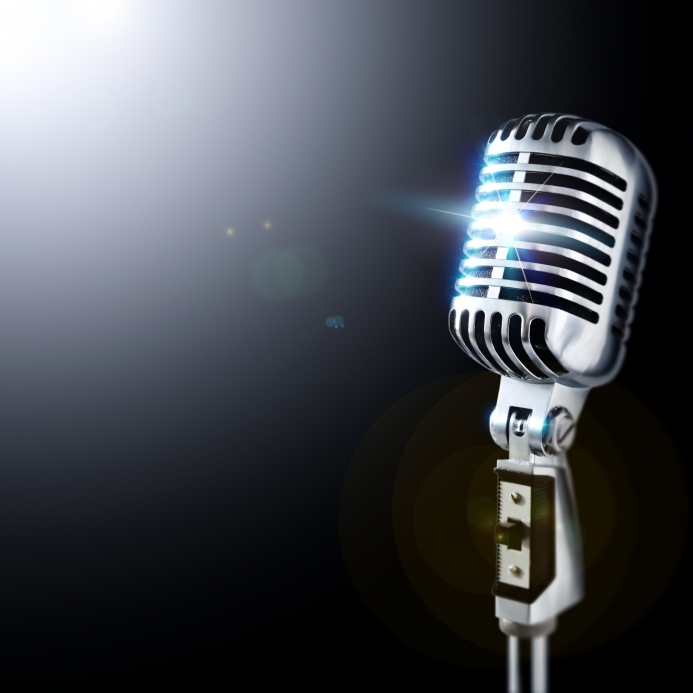 “Me and all others on the posters will be there performing at the Trade Centre on Mother’s Day,” said Squeezy, who then entertained journalists with an acapella performance of one of his songs. Darius also promised to give a memorable performance and used the occasion to render his well known “Unlucky” song in acapella. Mitchell said that one of the highlights of the show will be the honouring of 3 well-known calypsonians, one of whom is 9-time Calypso Monarch Ajamu. “We want it to be an element of surprise, so we will not say who the others are. We want the people to come out and be witness to the honouring,” he said.